What if a piece of art could actually be a cleverly concealed acoustic solution? 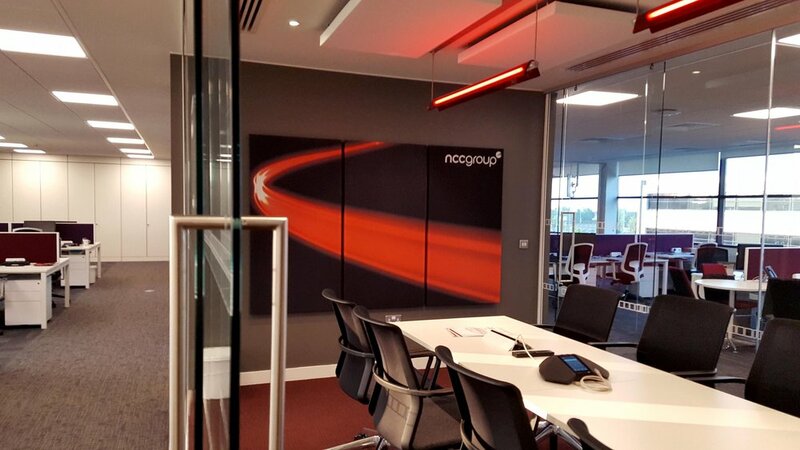 Well, now it can be – thanks to AgileART, our range of printed acoustic art panels. We’ve been manufacturing the unique product since we founded our business in 2014 – and the innovative solution remains popular with clients, old and new. Breathe new life into your corporate, hospitality or education spaces by choosing artwork which best represents you and your brand. We’ll do the rest, transforming it into a hard-working solution, which not only keeps noise levels to a minimum but looks great. Visitors would never know that canvas taking centre stage on your wall isn’t just that – a beautiful piece of art. Chat to us about the different size, print and design options we offer; just get in touch with our team and we’ll talk you through your many options.